Well not anymore as we picked up our two sheep skins from the tannery, all soft, white and fluffy. 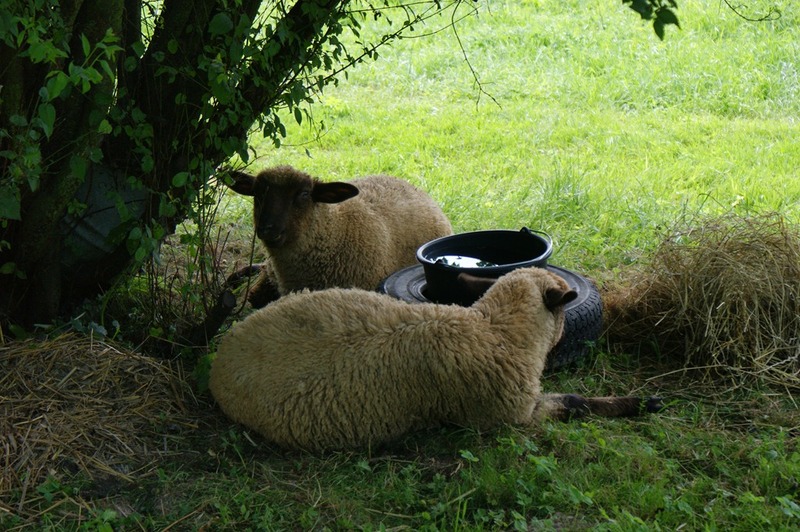 If you didn’t know we kept a couple of lambs over the summer as an experiment on ourselves to see if we could keep and kill animals for our own use; all part of the future self sufficiency dream ….or necessity. We fed them well; beet leafs, grain, plumbs (as they fell from the trees) not to mention the apples, all supplemented their usual diet of grass; they had the run of the orchard. We even discovered that they were very fond of dried bread, which was handy as it allowed us to call them and move them about quite easily; even to their eventual journey in the back of the van to see ‘the man’. 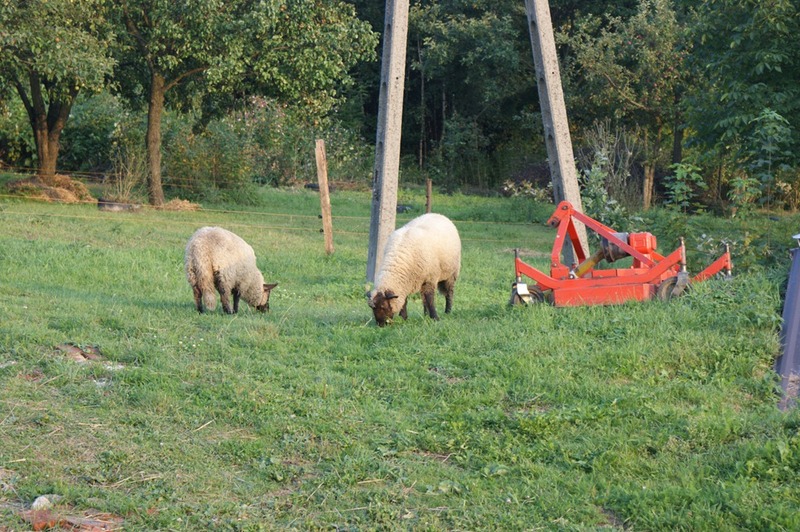 It’s not a very popular meat in Poland, it seems to have gone out of fashion quite a long time ago, and peoples memory is of a very strong tasting meat; no doubt from mutton. Mind you, slow cooked in red wine with some garlic and rosemary and we have managed to convert Gosias family; we have orders for next years flock already, so don’t be surprised if you see me in a sheepskin coat next year!